Residential & Commercial Security Systems | Integrations Inc.
Intrusion detection systems utilize a wide range of wired or wireless devices including sensors to detect the opening of doors and windows, infrared motion detectors, acoustic glass breakage detectors, weight sensors installed between floor joists, panic buttons, low temperature, and water leak sensors. Smoke, heat, and carbon monoxide sensors provide important life safety and insurance requirements. Our 24-hour monitoring center receives signals from a system over the cellular network, the internet or telephone lines. Once the alarm has been verified, authorities are dispatched, and emergency contacts are notified via phone call, text message, or email. The Central Station provides premium service and reliability with redundant locations. Integrations, Inc. offers graphic touchscreen controls, as well as conventional keypads, and web and mobile applications. Customers will receive important alerts remotely through push notifications, allowing interaction with their home or business system with most mobile devices. Integrations, Inc. designs, installs, services and monitors Honeywell and Silent Knight Fire Alarm Systems, and provides required annual inspection services. Existing fire alarm communicators may be upgraded with the latest internet and cellular transceivers, eliminating the costly expense of dual telephone lines. Licensed and insured in Pennsylvania, the City of Philadelphia, and the State of Delaware. 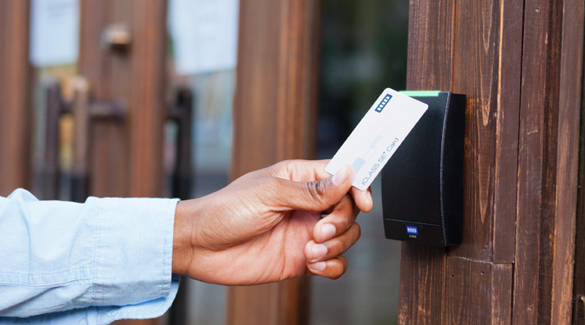 Electronic access control systems are designed to secure facilities or homes by limiting access to buildings, areas, or rooms based on user credentials. Incorporating electric locks, these systems provide restricted access, door prop open alarms and lockdown capabilities. System management by the end user may be software, web, or cloud based. Integrations, Inc. designs, installs, and services Honeywell Access Control Systems utilizing WinPAK, Pro3200, NetAXS or MaxProCloud. 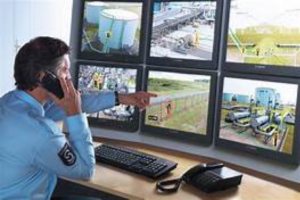 the latest in video analytics, live and recorded video will provide a deterrent to crime and reduce potential liabilities. Integrations, Inc. provides design, installation, and service of both IP and Analog video surveillance systems, ranging from simple video doorbell systems to multi-camera networked enterprise level systems. Existing analog systems may be easily upgraded to high-resolution cameras utilizing existing coax cabling, providing a cost savings approach, which incorporates the latest technologies.